The notice OMB decision to adjourn the 51 Lake Shore Drive until March 12th was received on Friday. Click here to view the notice as a pdf. The City of Toronto has initiated a Municipal Class Environmental Assessment (EA) study to assess the consolidation of approximately thirty (30) stormwater outfalls within the Etobicoke Waterfront Drainage Area that discharge stormwater directly to Lake Ontario and to improve water quality by implementing stormwater management facilities. The Etobicoke Waterfront Stormwater management Facilities Project was identified in the 25-year implementation plan of the Wet Weather Flow Master Plan (WWFMP). The first public meeting of the EA process was held earlier this month at the Assembly Hall. This is a very worthwhile project, but it will be very costly, and potentially very disruptive. The extent and duration of the disruption will depend on which stormwater management options are chosen. Some involve the construction of large sewer mains, including Lake Shore Blvd through most of Mimico. Others involve large stormwater detention facilities. These could be open ponds similar to the flow balancing facility at Humber Bay East, or underground storage tanks. Sam Smith Park plays a prominent role in most scenarios. Mimico Memorial Park is also being considered as a site for an underground storage tank. The fact sheet describing the various end-of-pipe treatment options. CCFEW will continue to be actively involved in this EA process. While we fully support the goals of the Wet Weather Flow Master Plan (WWFMP), the waterfront parks figure prominently in these plans. It is possible that some of these parks will be enhanced through this process, but we also need to ensure that they aren’t degraded. You can find more information about this project on the City of Toronto’s website. The OMB hearing on the application to build 6 semi-detached and one detached homes at 51 Lake Shore Drive got underway on Monday and was adjourned this morning. The adjournment was triggered by yesterday’s revelation that the lot size grew substantially between the 1909 survey and the 2006 survey. This raises the question of who actually owns the extra land created by the change in the shoreline. The hearing is set to resume in March 2010. You can find more information about this issue on this site and at the 51 Lake Shore blog. There was a strong showing of community concern at the OMB hearing. We couldn’t fit everyone in the room on Monday morning when nearly 50 community members showed up. One community member was give “party” status and 16 others (including a CCFEW representative) were given “participant” status at the hearing. The hearing was adjourned before most of the participants had an opportunity to speak, but they will maintain their status when the proceedings resume. In a historic move, Toronto City Council passed a motion late last month making parts of the Toronto Green Standard – which applies to all new construction in the city – mandatory. The standard, which has been voluntary until now, incorporates the Bird-Friendly Development Guidelines (BFDG) designed to eliminate migratory bird collisions with buildings both at night and in the daytime. The Fatal Light Awareness Program (FLAP) has been the lead advocate on this issue for many years. Their efforts are paying off in Toronto! You can read their news release here, or visit their website, FLAP.org for more information. The Urban Hero Awards is an annual awards program that recognizes those community members and grassroots level ‘heroes’ whose personal efforts, sacrifice or contribution have made a significant impact to a cause, a person or a group in our local community. A Toronto Community News initiative, the awards are for individuals who stand out in a crowd because they have made a difference here at home, in our neighbourhoods. The awards are for groups and businesses that are committed to making our community a better place to live. I believe this award recognizes CCFEW's current and past work so it really belongs to all of our current and past members for their efforts in making our community a better place. Thank you and congratulations to everyone who was a part of it! These awards were organized by Toronto Community News, so you will be able to read all about it in this Friday's Etobicoke Guardian. The final round of Biosolids Master Plan Public Information Sessions is now rescheduled for September 10. The Ward 6 Environment Day is rescheduled for Saturday October 10th (Thanksgiving Weekend). The 51 Lake Shore Drive application has bee deferred to the September 30th City Council Meeting as recommended in the last Staff Report. We’re still waiting for a reschedule date for the Stormwater Management Public Meeting. Stormwater Management EA Consultation, June 24 - cancelled: to be rescheduled after the strike. People with rogers.com and yahoo.com e-mail addresses are no longer receiving messages on our e-mail list. The problem just started this month. It is likely related to some spam filtering at Rogers/Yahoo, but the exact nature has not yet been determined. 51 Lake Shore Drive is back, and it’s headed to the OMB! 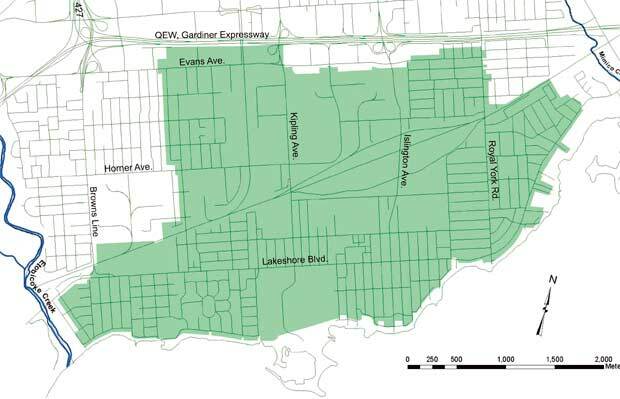 On June 9th, the Etobicoke-York Community Council will be considering the City’s response to the development proposed at 51 Lake Shore Drive. The developer is going straight to the OMB with a slightly modified version of the plan that was presented to the public last November. Click here for more details on the last proposal. 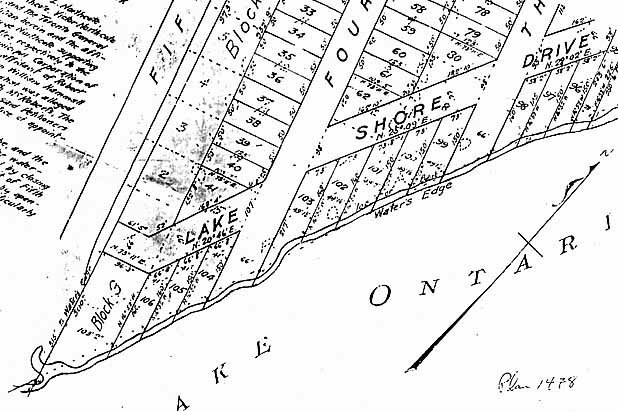 Also check out the 51 Lake Shore Blog. The tree inventory is part of the arborist’s report being prepared for the City. Although we were told at a public meeting last June that such a report had been conducted, it later became clear that it had never been done. The completion of the report is one small victory from our EA application. In mid January, a partnership between Ontario Power Generation and Trans Canada was one of four proponents selected by the Ontario Power Authority to respond to a Request for Proposals (RFP) for a new natural gas-fired power plant in the Southwest Greater Toronto Area. At that point, we sent you correspondence introducing the proposed Etobicoke Energy Centre project -an 850 megawatt combined cycle power plant, to be built at 800 Kipling Avenue. On Friday, February 6th, the Ontario Power Authority released its RFP. Since reviewing the RFP, the partnership has decided not to pursue the proposed project at 800 Kipling Avenue as we no longer believe this site would be successful in this competitive process. TransCanada is still qualified and interested in this RFP. We remain committed to sharing information and gathering input related to potential projects as we assess other potential sites. We will once again proactively reach out to the community as we advance through this process. We would like to thank you for your interest in this proposal and the time you have taken to provide input to our project team. You can learn more about this process on the OPA website. Blvd LRT be undertaken until community consultations are completed. Commissioners to the integrity of the community consultation process. For more on this issue, visit our Waterfront West LRT page.